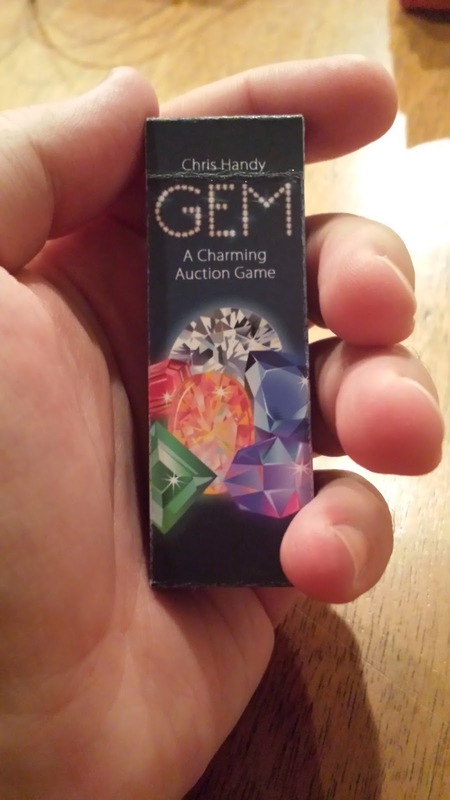 GEM is just one of the microgames in the Game O Pack series published by Perplext and designed by Chris Handy. All the games in the series are amazingly created to be the size of a pack of gum and this "gem" really packs a strategic punch! I am really impressed with the small size and yet the utility of the cards. The artwork is simple and works well with the simple game play. The game is a bidding game where players bid for gems. Players then reinvest in their own gems to gain more bidding power, but the game is all about balance. Only gems that have been invested in will score you points at the end of the game. You can find a great instructional video produced by Perplext teaching the rules underneath my review video. You can check out the Kickstarter page for more information on GEM and the other games in the series. Such a great little strategic game and that is How Lou Sees It.